you can relax because “your smile is our reward”. Having a great smile takes a bit of effort. Oral hygiene and good dental habits encouraged from an early age are key. To make it easy, we help you with strategies to look after your teeth – and your children’s – to maximise oral health and minimise problems at any stage. 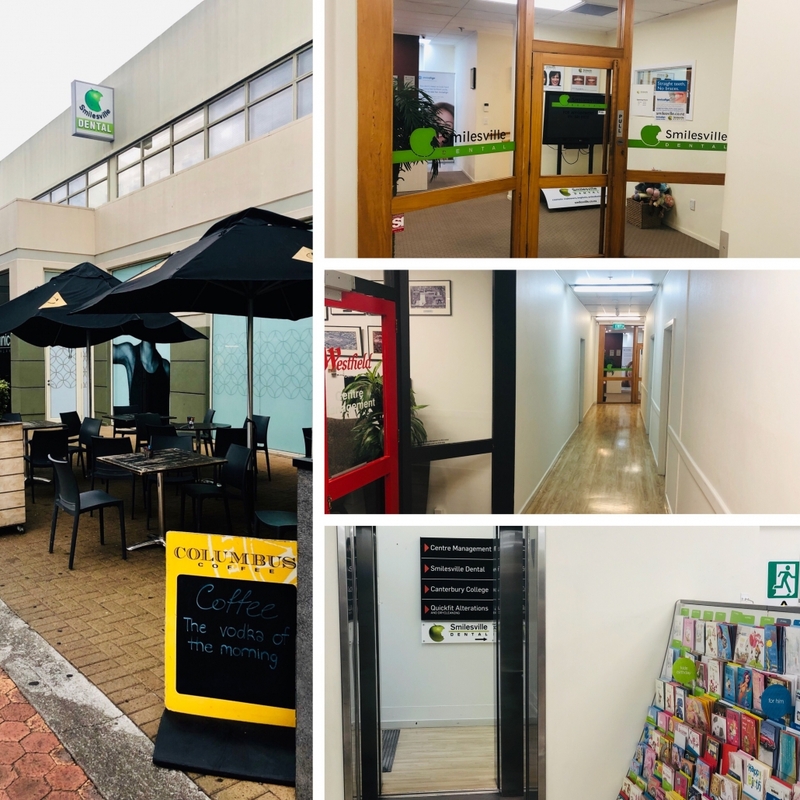 But when it’s all gets a bit much and your smile is suffering for whatever reason – genetics, limited access to oral care, physical bone formation or simply an accident at work then we have tailored solutions for you we guarantee you’ll love. And who’d have thought you could watch a movie, listen to music or even float off to another lovely world while we sort out your teeth? 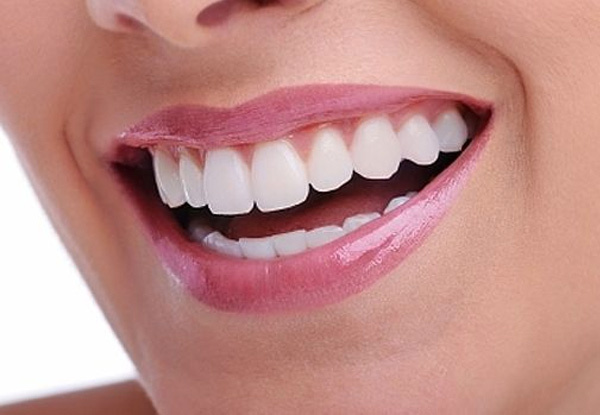 Veneers, Crowns, Bonding, Bridges, Cosmetic Fillings, Tooth Whitening. 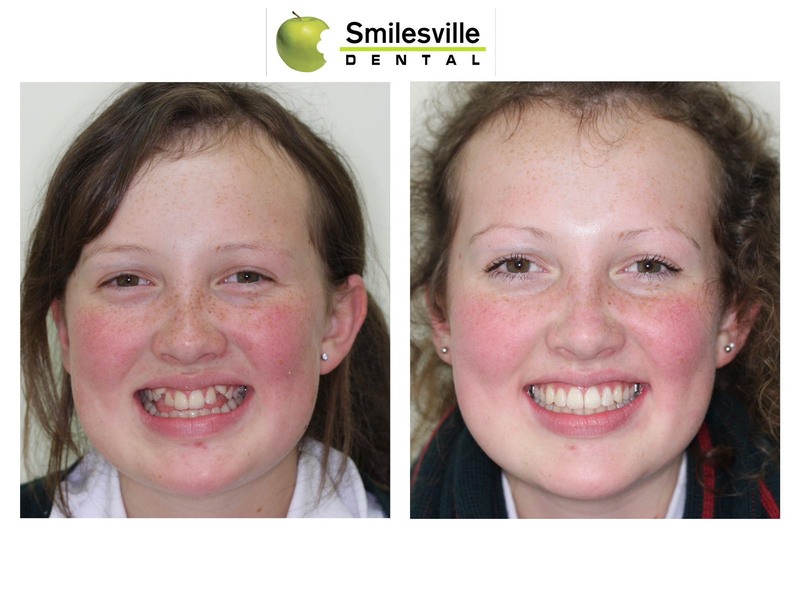 We love a lovely smile! Beautiful teeth are incredibly important to positive self-esteem – and having the confidence to show your teeth when you smile is a liberating pleasure our team love to give. Our dentists have an extensive background in advanced Cosmetic Dentistry and are able to create the most natural, durable, and aesthetically pleasing results. 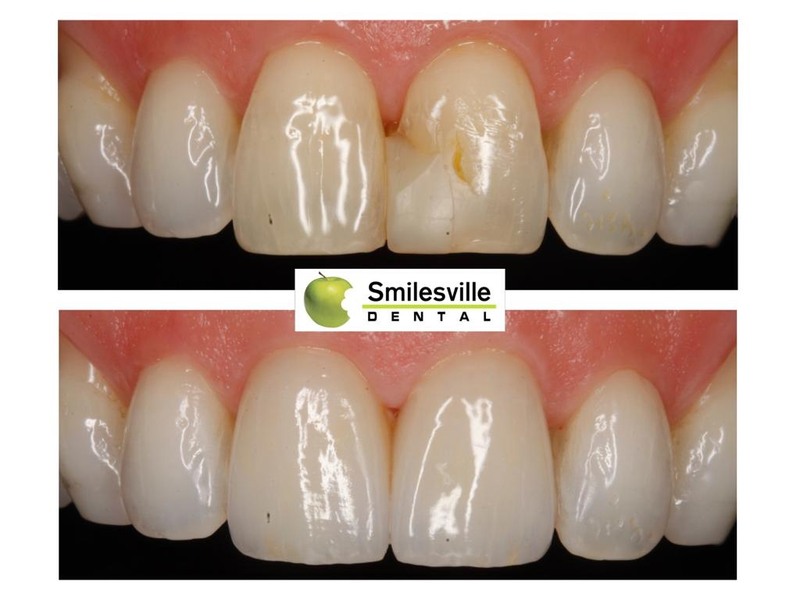 Problem teeth can often be corrected with just one procedure or in some cases may require a combination of different techniques. Whatever our recommendation, you leave with a smile you will wear with pride. Because the material is ceramic the surface of the veneer is extremely stain-resistant. Deciding on which type is appropriate will depend on the strength requirements and aesthetic concerns of the tooth involved. 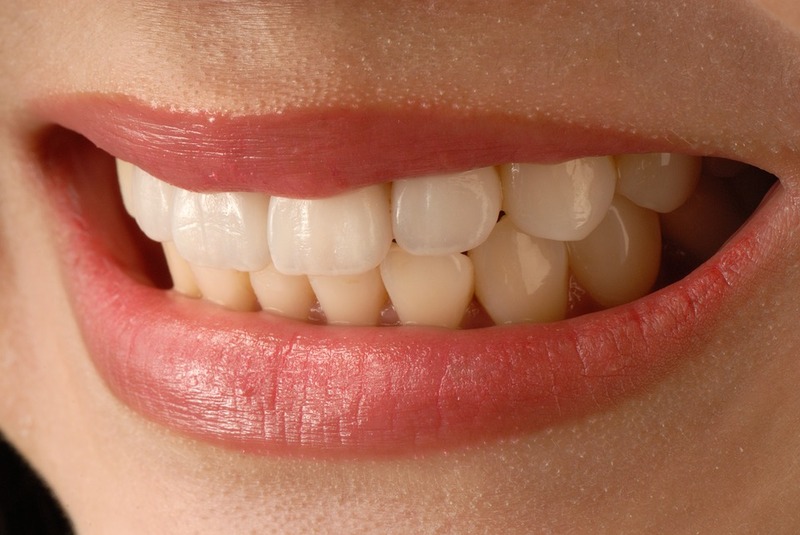 Fill in gaps and reshape or recolour your smile replicating a natural look to your teeth. A dental bridge is a false/dummy tooth that is fused between two porcelain crowns and which fills in the area left by a missing tooth. 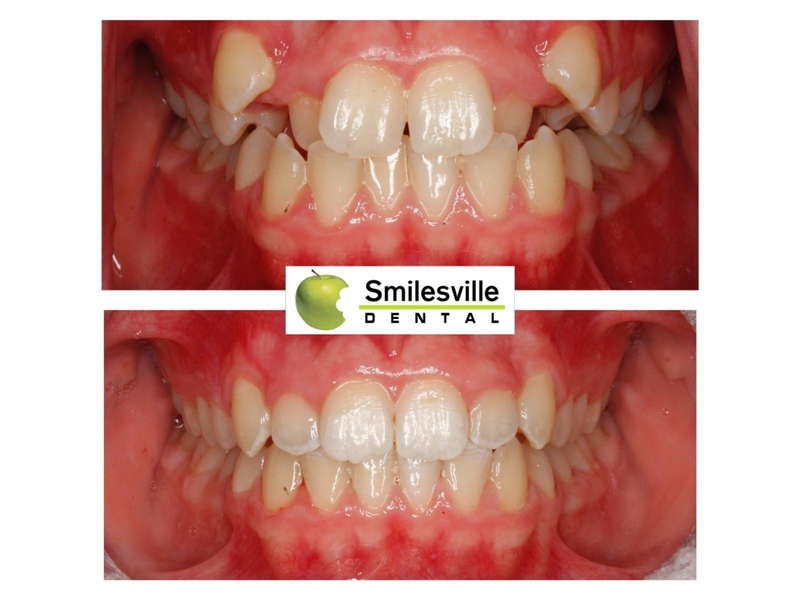 Bridges are used to fill a gap of up to four teeth provided there are healthy natural teeth on each side of the gap. The procedure is very similar to having a crown placed on a tooth and will require at least two appointments to complete. A cantilever bridge, in which the false tooth is attached to a tooth on only one side. Imagine if there was a way to avoid announcing to the world that you had cavities every time you open your mouth! Old silver amalgam fillings are unsightly and can make the surrounding tooth appear grey and ugly. New technology now makes these silver fillings unnecessary. White fillings are made of a composite resin and are matched to the colour of your teeth. Too much coffee, smoking, overuse of antibiotics, natural pigmentation or even just age, all contribute to our teeth yellowing. 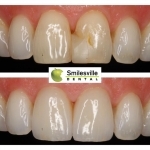 One way to increase your confidence and to brighten your smile is to get your teeth whitened and Smilesville offer many systems to suit your budget. 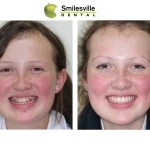 Smilesville Dental provide cutting edge orthodontic services that are the ultimate remedy for crooked teeth. 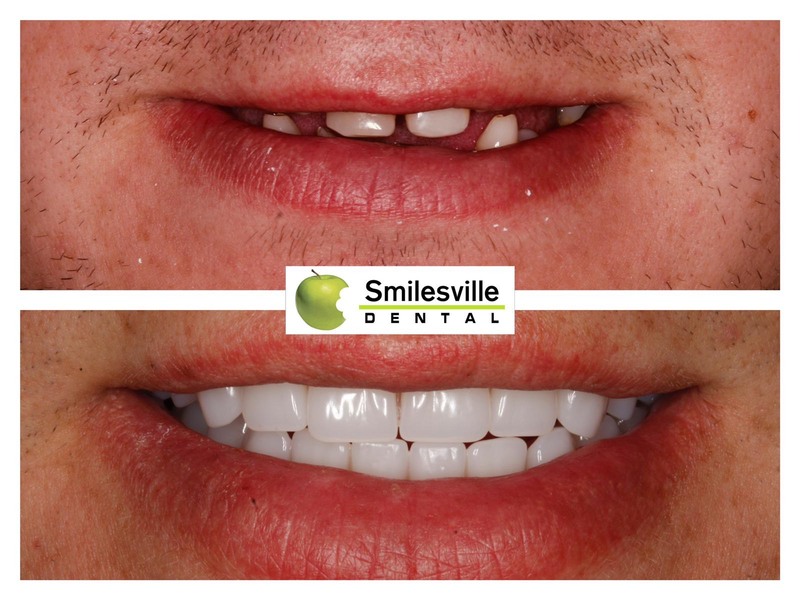 An amazing smile can be yours with our revolutionary product, Invisalign, a virtually invisible, removable system which straightens your teeth in progressive sequence until perfection is achieved … and no one will suspect a thing! 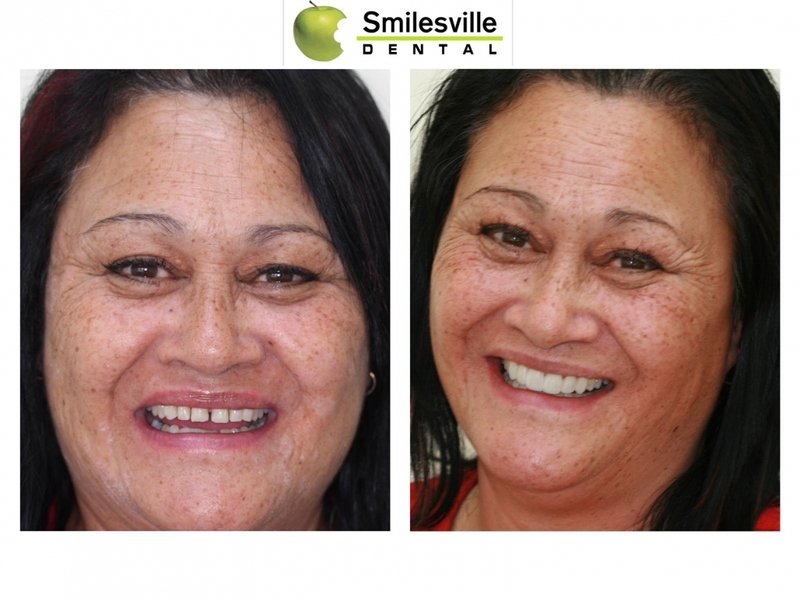 Half a million smiles New Zealand-wide can’t be wrong – that’s how many people have used and loved Invisalign. It’s so discreet you can live your life while enjoying the benefits of teeth straightening without noticing it’s happening right under your own nose. Invisalign is especially great for adults who have always wanted straight teeth but felt too ‘old’ or self-conscious to cope with traditional metal wire and bracket braces. Your Invisalign treatment consists of a series of clear, removable aligners that you switch out. The system is convenient, comfortable, flexible and above all, effective. Each aligner is individually manufactured with exact calculations to gradually shift your teeth into place. And since your Invisalign system is custom-made for your teeth and your teeth only, with a plan devised by you and your dentist, you know you’ll end up with a smile that truly fits. As you replace each aligner with the next in the series, your teeth will move – little by little, week by week – until they have straightened to the final virtual ClinCheck position that you and Dr Sachdev agreed upon before treatment began. 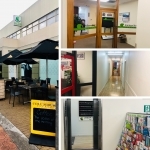 You’ll visit our office to ensure that your treatment is progressing as planned. There are more than 3 million Invisalign patients worldwide and Smilesville Dental are a fully accredited Invisalign provider. So, what happens when you decide Invisalign is for you? We’d love to show you! 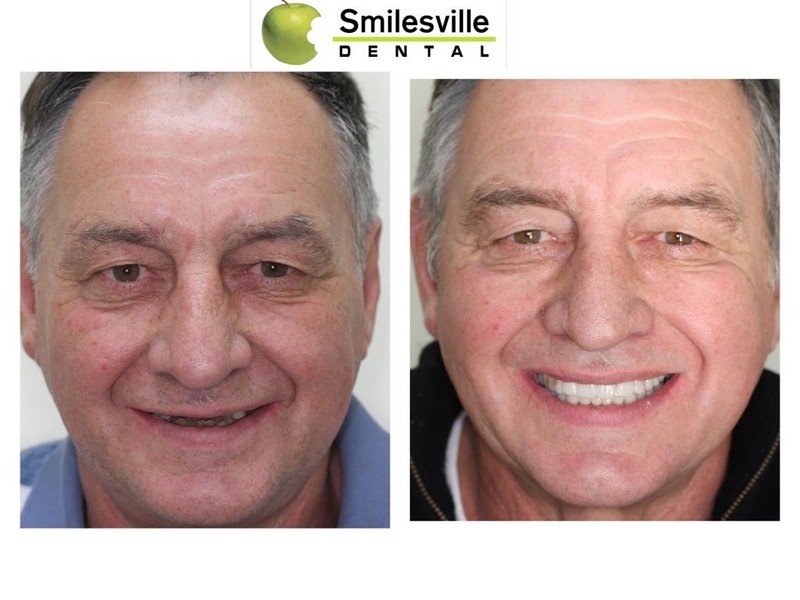 Simply visit Smilesville Dental for a consultation to discuss the goals you have for your smile. Once your doctor determines that Invisalign is right for you, he or she will write up a detailed treatment plan, and a set of virtually invisible aligners will then be sent to your doctor. Your Invisalign system may look like a simple piece of plastic, but it’s much more. With advanced technology, your Invisalign aligners are custom-made for you, and only you. 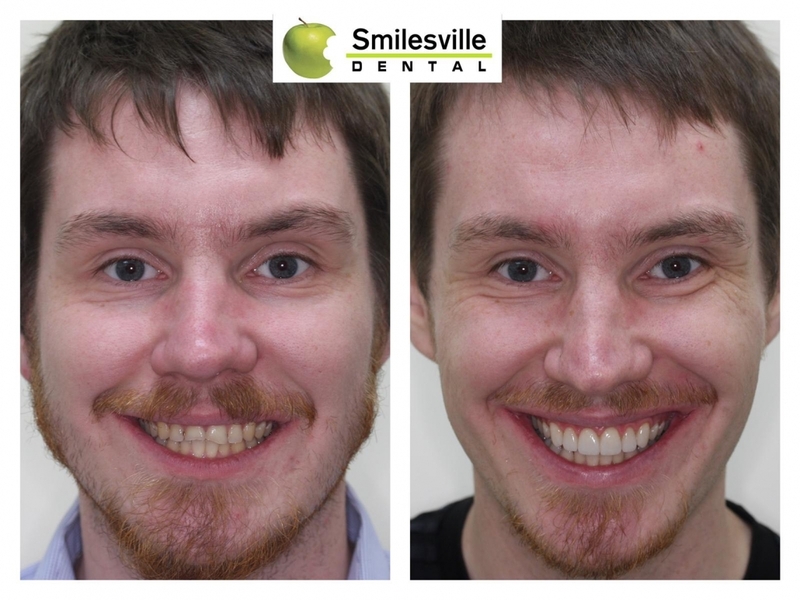 Over time, your teeth should move to reveal the smile you’ve been wanting. Take a look at the steps you and your doctor will take to get you to a brand-new smile. Your initial consultation with your dentist is offered free of charge. 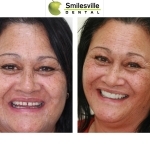 During this visit, you’ll discuss the issues you have with your teeth and what kind of results you would like to see. Once your doctor decides your situation is suitable for Invisalign treatment, a treatment plan will be mapped out with your goals in mind. If, after analysis by the doctor, you are found to be a suitable candidate then impressions of your teeth will be digitized in order for your doctor to work with a computerized 3-D image of your teeth. Then, your doctor will plan your tooth movements throughout your entire treatment timeline. You’ll be able to see a virtual representation of your teeth before, during, and after completion of the Invisalign process so you can see what your smile should look like when you’re done with treatment. From your doctor’s precise treatment plan, customized aligners are created with advanced technology for you to wear at each stage of your treatment. While the number of aligners varies for each individual situation, a full set of treatment typically includes 20-30 aligners per arch. You should wear your aligners at all times, with the exception of eating and drinking, in order to complete your treatment in the timeline determined by you and your doctor. You’ll go in for occasional check-ups, to monitor your progress and to receive your next set of aligners. During the entire treatment process, you’ll be able to watch your teeth gradually moving into place. Your smile will, little by little, move into something you’d like to show off. The people around you will be sure to notice your new-found confidence. Great People Great New Smile Its been 7 months. Always a pleasure to come here. Once Again Thanks Very much. Be seeing you soon again soon. Ruchika & her team are extremely professional. All the techniques and technology used are beyond comprehension. Ruchika herself is a caring & passionate professional who has every case understood & studied to a fine detail to ensure each patient is completely satisfied with their smile. She genuinely cares about the success of her work & the care of her patients.I am completely satisfied with my treatment & the fact I never have to smile facing a certain way or with my mouth shut! Thanks to the whole team for a supportive & successful job. Thank you so much for my Invisalign treatment — it was such a stress free and simple process. I really appreciated the caring approach towards my treatment and most of all I love my new Smile!! Thanks for the treatment. Very happy with results! New Smile. Thank you very much. Amazed with my final results. 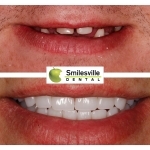 I would like to thank Ruchika and the team at Smilesville for my new smile. I couldn’t be happier…Service has been nothing but fantastic throughout. Thank you so much Ruchika & Sam and the team at Smilesville. This has been a great journey and I am thrilled with the results– looking forward to showing off my new smile with pride — will certainly recommend you to others — Best Wishes! Came to Ruchika with a problematic front tooth that had had several patch up attempts from previous dentists. I now have perfect front teeth! Very much appreciate Ruchika’s expertise and attention to detail. Many Thanks! I had Invisalign for over a year and I am so happy with the results. 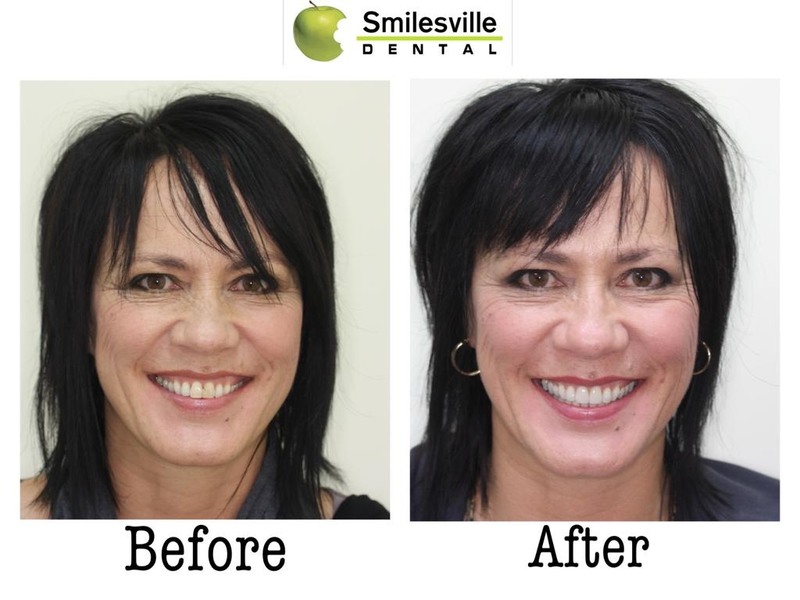 It is such an easy, painfree process made even better by the lovely people who work at Smilesville. Thanks so much to Ruchika and Sam and I would recommend this to anyone! After 6 months of Invisalign my teeth look much straighter and the process was easy. Ruchika is a star and meade me feel comfortable at every visit. I would also recommend the whitening! Thanks again to Ruchika + the team! My teeth look great. 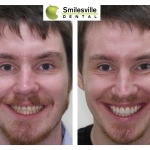 I never thought I’d have perfect smile and thanks to the team at Smilesville I can’t stop smiling! I would recommend Invisalign to anyone. A big thanks to Ruchika – not only is she a great dentist, she is a lovely person too! Always had crooked teeth, thought they were going to stay that way, One dentist said too much trouble to change, another said I would need to remove 3 or 4 teeth to get them straight and who wanted to wear metal braces at my age? Now 12 months after first seeing Invisalign advert & the dedicated interest & great service of Dr. Ruchika, I feel good about my great smile and still with all my teeth! Thank you so much, after 30 years I can finally smile with confidence. You and the who Smilesville team have been amazing through this whole process and I could not have wished for more. I am so happy with my new smile. I wish you all a great Christmas and New Year. RUCHIKA HAS BEEN GREAT! I CAME TO HER ABOUT 6 MONTHS AGO AFTER MANY YEARS OF NEGLECT. SHE HAS DONE A REMARKABLE JOB IMPROVING MY TEETH & GIVING ME CONFIDENCE IN SMILING AGAIN. MANY THANKS FOR YOUR TECHNICAL ABILITIES & FRIENDLY, CARING “BEDSIDE MANNER”. I went through the aligner process & it was great. I am very happy with the result & my teeth look fantastic. Ruchika is a wonderful person & her customer service is fabulous. She is highly recommended. Thanks so much for my awesome smile :) Invisalign was great + so were you guys. I am in my 40’s and have always had prominent teeth with a gap. It affected me as I did not like smiling and did not help my confidence. I found out about invisalign through Smilesville and have never looked back!! The service is amazing and I started smiling at the first aligner! 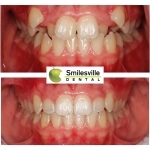 I cannot believe that many people are not using it instead of train tracks on my teeth for 2 years ( A choice I was not going to take) I have had clear aligners and the whole course should finish in a few months and with amazing support from Smilesville !!! After many YEARS of dental pain, I faced my biggest fears and booked in here — I did have teeth removed unfortunately but was my fault. I wish I had come sooner. Since then I have had fillings, cleaning root canals and have just seen my new replacement teeth to be fitted in a couple of weeks. I am at the end of my cosmetic transformation. This is the ONLY thing in my life I would have changed & now I will be complete. Ruchika & Chelsea are an AMAZING team – trying & succeeding in giving you the very best smile. If anyone is dreading going to the dentist for all sorts of reasons please come here to Smilesville. I will be back every 3 months & so will my husband & son. Life changing experience. “Came here got a quote &Went; somewhere else cheaper. Big Mistake!! Ended up spending more and still coming back. Fantastic experience restored my Smile to what it should be. Professional at all time. Thanks heaps. Take the lift in Farmers to the first floor, the lift opens on both sides so look out for our sign with the green apple. If you have any problems at all, please see the information desk in the mall and someone will lead you to us!